This is Kid's Soul Resonance attack. When activated, Kid's lower arms are covered with metal and resemble cannon barrels. Three black spikes come out of each of the upper arms. 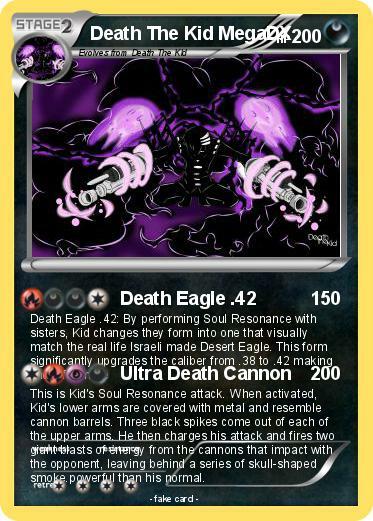 He then charges his attack and fires two giant blasts of energy from the cannons that impact with the opponent, leaving behind a series of skull-shaped smoke.powerful than his normal.